* This breathtaking wholesale 4 1/4" w x 2 1/4"h wedding comb by Mariell features two graceful flowers in brushed silver with pave crystal leaves. * Adorning the floral motif are stunning flexible sprays of soft ivory freshwater pearls and genuine crystals to adapt to any hairstyle. 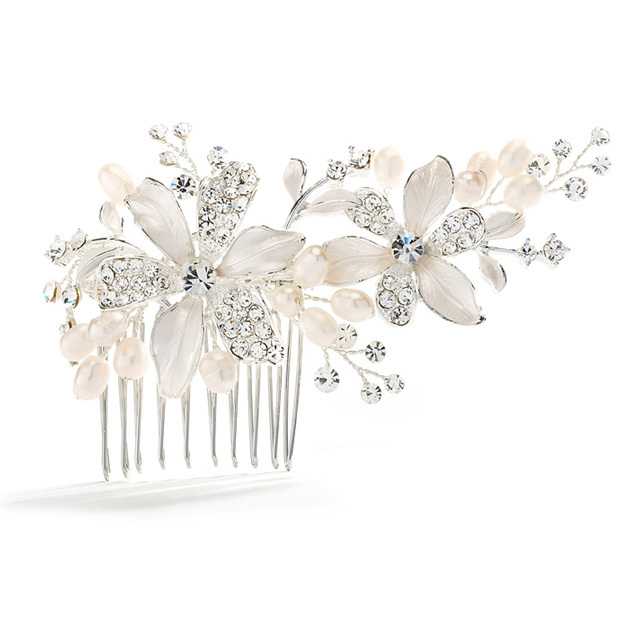 * Add this irresistable top-selling comb to your store's bridal headpiece collection!